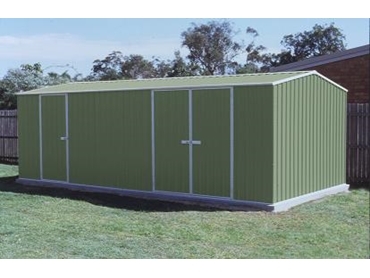 The Highlander Workshop Sheds are part of the Shed Spot ’s shed range, designed to be practical and enduring. With more than enough space to have both storage and work areas, the Highlander workshop sheds offer a comfortable work area on the inside while still looking good on the outside. The Highlander CB60303HK workshop sheds are big enough to accommodate a skylight or two, and/or some sliding Perspex windows. The double doors in these sheds make manoeuvring easier, especially if moving large or heavy items into and out of the work space.